What is the North made out of? Today, in a post-industrial future, the North may be said to be pushing boundaries in new ways. Knowledge and innovation in the realm of materials–both handcrafted and those manufactured at large scale–continues to be pivotal. From the super-material Graphene to atmospherically responsive materials, and to technology that can predict the aging of design and construction materials–all of this, and much more, is emerging here in the North. Mounted to the exterior and interior of the dome's structure, from ground to ceiling, are a variety of materials–diverse in form, color, size, texture and indeed their source. 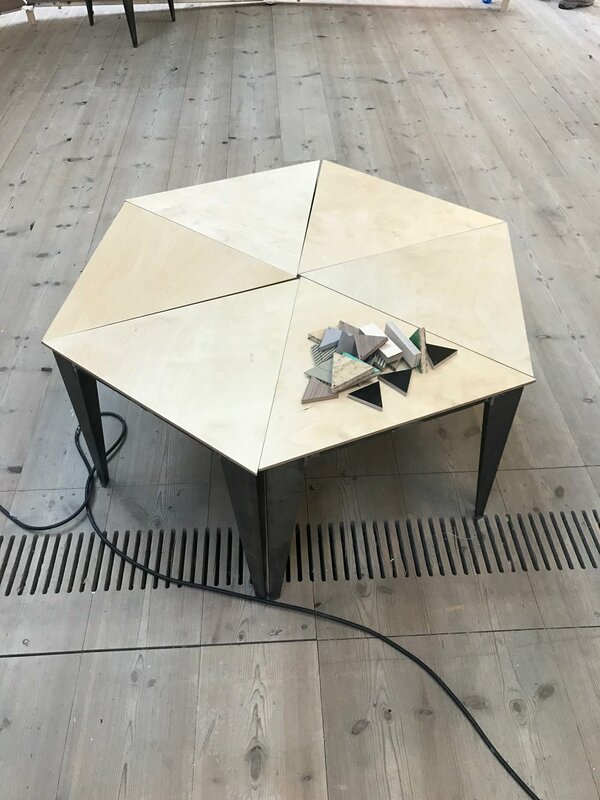 Interspersed with the dome’s inset triangles occupied by such engaging materials, are thought-provoking questions that invite the visitor to pause in the interior space of the dome, and contemplate the identity of the North, and ideas concerning material futures.